The future is the only time-zone we can influence. And design is a sharp tool in shaping the future. The intentions and values of design are going to be increasingly important in determing our possibilities to create a sustainable way of living. 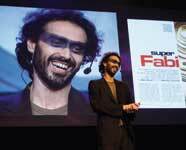 FutureDesignDays gathers actors from all disciplines for a debate on the shape of the future. After all, the most powerful tool in the world is not the hand. It’s the ideas behind it that give the design process its momentum and power, enabling the designer to influence the things around us – and by doing so influencing the world at large. FutureDesignDays aims towards highlighting the possibilities of the design process. By fusing technological innovations and artistic freedom, design can be a way of challenging old paradigms and obsolete structures. 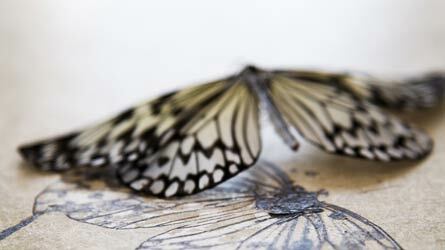 By changing the way we look at the things around us, we can change the way we think. By that, we can make the future contain meaningful things – and sound environments. By creating, we show that thoughts may turn into things – and that the idea is in itself a power. Visualising the future through strong ideas means making the future happen – today. By employing an honest craft we render our ideas useful and sustainable. Consumption is thus replaced by relations. Mere articles become useful articles. By caring we show our good intentions. That we are prepared to stand up and fight for our values, ideals and intentions. The result is sustainable development; aesthetically, economically, ecologically. In the same way as the funcitonalist architects saw the building as a piece of universal art, we see design as a universal movement. The process begins with the development of the business idea, and is manifested in the forming of the product – and is communicated in the way the marketing is formed and in the meeting with the customer. In this way, design is a process that everyone with a company or organisation must participate in. Consequently, design is not just about the designer – the star whose name is stamped on the underside of the dinner service. Instead, it is about all the people who come into contact with the designed product. Obviously all products have been designed. But if design means intention and participation then far from all products have truly been designed. So, in point of fact, what we are talking about is a handful of good examples. FutureDesignDays is about some of these, and about some of the people who have participated in producing them. Since there are only a few such good examples, we must search throughout the world. As a result FutureDesignDays is a global event, with designers, decision-makers and commuincators from all over the world coming together in a single place in order to interact, break barriers and develop their and your business. Design is a tool for understanding and development – an opportunity to think along new lines in many fields. Design is not something that only a few people are entitled to work with, or ought to work with. Design touches every individual, both in the public sector and the private sphere. Design must, therefore, be allowed to be about economics, welfare, globalisation, justice and communication. FutureDesignDays is intended to act as a revivalist movement in these matters, a movement for design beyond colour and form, beyond national borders and narrow fields of interest. Ever since FutureDesignDays started back in 2001, it has been on-going throughout the year, culminating in the positive and enthusiastic November festival – a true manifestation of the design urge. In addition, FutureDesignDays collaborates with a large number of organisations and institutions, business, industry and individuals on all sorts of design issues throughout the year. FutureDesignDays will continue to be a forum where people meet, clash, are amused or alarmed. And the network is growing every day. In the thirties, Gregor Paulsson, the well-known Swedish art historian, stated that architecture is the consistent expression of principle. Today, we say that design is the consistent expression of intention. If you mean something – and have the ability to express it – it is design. As a result, everyone who takes part in the design process has a responsibility. Design is a powerful tool for expressing an opinion, a tool that affects people in their daily lives. So it is time to ensure that this tool is used in a way that changes people’s lives for the better. Sustainable design means bringing about design that has a bearing on the possibility of creating a sustainable future. The thinking on ways of bringing about such a future is divided, to say the least. The popularity and importance of green building has grown dramatically over the last decade. If we take a stroll around town or browse through a magazine, we soon see that design has become a trade commodity, a profitable label. Quite simply, we offer design as if it were a valid purpose in itself, not a process. Hence, FutureDesignDays, an annual get-together dedicated to finding the forms of tomorrow. How do we do this? By setting up an experimental workshop, bringing together the most exciting designers, debaters, decision-makers and free thinkers under one and the same roof – and allow them to interact with everyone who is of a mind to come and take part. The purpose is to search out routes to ideas on design that will mean something to people. In this way, companies and brands will be needs of people, not the construed needs which are marketed by those who deal in, and with, design as if it were a label inside the collar of a shirt. 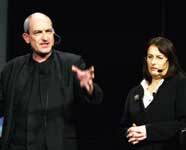 The year 2001 saw the first FutureDesignDays ever. 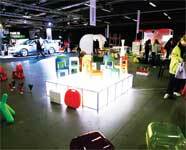 Now it’s established as an annual design event in Sweden. FutureDesignDays, which in itself mirrors our way of seeing design, is a process that is intended to capture complicated contexts – and present them in a form that is both understandable and inspiring. The key words – Visions, Action and Interaction – explain what we mean: acting together to bring our visions a step closer to reality. 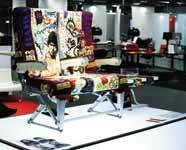 As the designer Carl Malmsten said, ”The main thing is to be gripped by life”. And it is there that the design process starts and ends. Thinking in terms of people’s needs, what life itself demands from these things. And by going through that process, being present as a person. To be gripped by the possibilities that can be brought to fruition through the design process. If we think in this way, we end up a long way from the posh shop street. Instead, we come closer to a view of those things about us that have to do with business ideas, the drive, in fact, to run a business or a brand. Although FutureLab is only a small player, one of our visions is to assume a significant role on a global level. We are keenly interested in what is coming up around the corner. And we want to catch a glimpse of it today! Both for the sake of our customers and ourselves. FutureDesignDays is our way of fulfilling our vision and satisfying our curiosity. Until the next time. FutureLab Method – for integrated communication FutureLab, the creator and organiser of FutureDesignDays, is a strategy agency that works with integrated communication. We employ a method that encompasses the whole process, from exploring new areas and possibilities and the development and implementation of competitive business strategies to designing communications, events and products. FutureDesignDays has become an important platform for new businesses, new ideas and new contacts. A collection of alreday futurized clients: Almedahls, Borås Cotton, Borås Elhandel, Borås Kommun, Borås Stadsteater, Brothers, Centiro, C-girl, Coop Norden, Crescent/Monark, Domicet, Elmia, EM, Finska Turistbyrån, Hagelmark, Rockparty/Hultsfred, Högskolan i Borås, ICA, Ikanobanken, Insight Lab, Intersport International, Intersport, IQR, Isaberg Rapid, JC, JC Boys & Girls, JUST NU, Kinnarps, Marbodal, NCC, OKQ8, Produktställ, Pulsen, Revigör, Sapp, Sceye, Sisters, TBV, Thor, Tidbecks, Umbro, White. The reason FutureLab developed the concept of FutureDesignDays in the late 1990s, and went on to organise the first event in 2001, was that we saw that design was becoming increasingly important as a distinguishing competitive tool in the marketplace. And that in many ways it was even becoming decisive. We also saw that those companies which did not have a clear policy with regard to their design in terms of financial resources, aesthetics, the environment and ethics, were fast losing market shares.In putting on FutureDesignDays we have created a serious business conference that is also a fun-to-be-at festival for all branches and sectors. The importance of FutureDesignDays on a global level continues to grow apace with the growing network created as a result of the festival itself. In short, FutureDesignDays has become an important platform for new business, new ideas and new contacts. 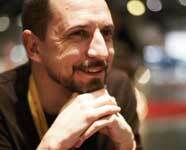 Christian Alçenius, Managing Director, FutureLab, and Festival General, FutureDesignDays. Mingle reports in Russian interior design magazines, items in The New York Times and Le Figaro, page upon page in design journals, dailies and other trade press, and mentions on TV news programmes. No fewer than 250 journalists, from more than 26 countries, and from every kind of medium, covered FutureDesignDays 2005. We often forget that communictation is more about listening than it is about talking. Right from the start, FutureDesignDays has worked actively to bring the event, and the importance of covering the design field, to the attention of the media. Our PR agencies and consultants, help us to keep the media supplied with information updates and material throughout the year. We set up a fully equipped press centre at the event itself. In addition, FutureDesignDays also has its own photographers who continually publish pictures on the net for free publication, writers who report on everything that goes on, and a small film team that documents all the doings and happenings throughout the three-day festival. FutureDesignDays is an ongoing process and so much more than just a high-profile three-day event in November. People write about it throughout the year. The organisers publish a book on the festival. 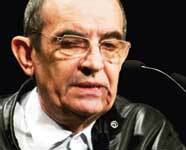 And there is a contin-ual flow of news and information that is reviewed and commented on in the press. FutureDesignDays is also happy to work with its partners’ PR people in forming opinion, distributing information and spreading the message in the optimum way. If you work in these fields, you must think this is fantastic. Two full days with the EXPO, the Conference and the parties. It’s like a big branch festival. 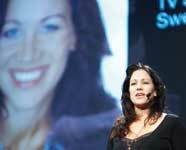 Renée Nyberg, TV anchor, and moderator at FutureDesignDays 2005, Sweden. The best organised event I have ever been involved in! FutureDesignDays definitely exceeded my expectations! The progressive development of FutureDesignDays – indeed its raison d’être – is due to the fact that other people are interested in what’s going on, want to be part of the action and want to make a difference. Right from the start in 2001, the festival has, therefore, been based on close collaboration with people and organisations at all levels, from individual students, designers and architects to global companies, schools and universities. It’s a perfect fit with our brand. Saab used FutureDesignDays as part of the PR drive for its new 9-3 SportCombi, exhibiting at EXPO and becoming the official car partner. 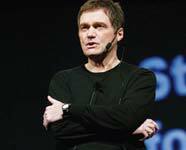 In addition, Jan-Åke Jonsson, MD, and Simon Padian, Head of Project Design and Chief Designer, spoke from the stage during the Industrial Design & Innovation conference block. Everyone who is a partner of, or collaborates with, FutureDesignDays does so for different reasons. For some it is a way of making interesting contacts and learning about design at close hand. Others see EXPO as the perfect arena for presenting projects and ideas. Yet others collaborate at all levels and regard the whole FutureDesignDays process as important to their agenda, their brand or organisation. The governing factors behind all the partnerships and collaborative efforts are, of course, the ambitions, intentions and resources of those involved. 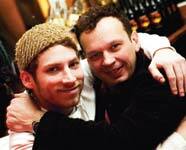 The fact that different cultures clash, meet and diverge is an important motive force for people, companies and brands. Unexpected collaborative efforts often give rise to the best and most striking ideas and business ventures. Which is why FutureDesignDays looks for partners in all sectors and makes every effort to initiate collaboration between the event’s partners and sponsors. There’s something happening all the time. And despite two days packed with inspiration and impressions, you still feel as if you could have done with yet another day with all those interesting people at EXPO. It was a unique opportunity for us and our European network to show new innovative techniques and products to an entirely new customer group. We made many new contacts. The expertise and visions to be found at FutureDesignDays are really stimulating. It’s given us input for lots of new ideas on ways of creating a more attractive product. FutureDesignDays Network comprises an invaluable contact network of designers, company executives, architects, university lecturers and many other distinguished experts in design and business. Being part of FutureDesignDays Network means that tremendous resources and knowhow are always just a phone-call or an e-mail away. 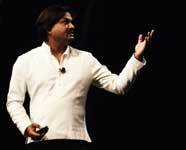 FutureDesignDays Network creates unimaginable scope for innovative and progressive designers and companies. It’s so rare that we designers get this opportunity to come together and talk. 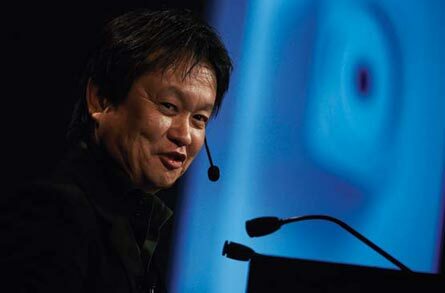 More than 150 big names have added lustre to the FutureDesignDays stage since the first event in 2001. Here are some of them: Sir Terence Conran, Dirk WynantsKatharine HamnettEero Miettinen, Marcel WandersKarim Rashid, Inga SempéKym Barrett, Patrick WhitneyHella Jongerius, Andrea BranziPatricia Urquiola, Gert Volker HildebrandJohn Pawson, Tyler BrûléDonald Bates, Satyendra PakhaléMassimo Morozzi, Humberto CampanaNicole Lazzaro, Fernando CampanaSimonetta Carbonaro, Tom DixonStefan Lindfors, Elio FiorucciNaoto Fukasawa, Nirvan RichterGert Wingårdh, Clare JohnstonKirsti Paakkanen, Ignacio GermadeVerena C. Kloos, Konstantin GrcicZandra Rhodes, ArkadiusFabio Novembre, Ross LovegroveOra-Ïto, Henrik OttoHans Stråberg, Efva AttlingGuy Lönngren, Cecilia Hertzto22, Design Against Crime, Leif Pagrotsky, Johan Staël von Holstein, Michael Treschow, Christian Koenigsegg, Ilse Crawford, Lara Bohinc, Bruce French. Being involved in FutureDesignDays not only provides a fantastic platform that enables a company to be seen in the right context. 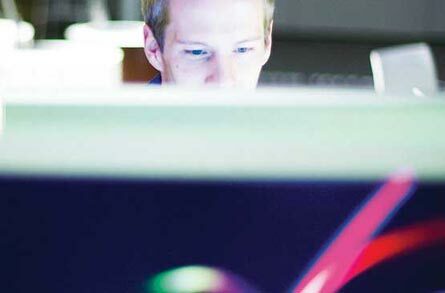 It also offers access to a global network of world-class expertise, innovation and creativity. FutureDesignDays opens doors that, without the right contacts, would have remained shut for most people. So don’t miss the opportunity to be part of the successful, business-generating network that is FutureDesignDays. There is very little time in our day to day work, to sort of sit back, think about things, being inspired by the people and meet other creative people. Especially from other disciplines that you’re not used to dealing with. Many thanks for the great manifestation and extraordinary organisation. More than 4,000 people come to FutureDesignDays every year, all of them with some special interest in design. And all of them on the lookout for new knowledge and experiences, intent on making new contacts and developing business opportunities. 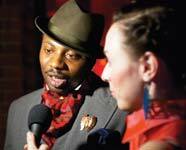 The festival is a veritable crucible for new partnerships, innovative design concepts and good business. We learnt that there are a lot of people who share our enthusiasm, optimism, drive and values concerning design and the future. More than 4,000 informed delegates – all with their own special interest in design – thirsting for knowledge, new contacts and business opportunities at FutureDesignDays. Piers Roberts (UK) attended the 2004 festival and presented Designersblock – a project helping young talents to make an international breakthrough. 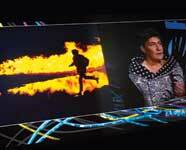 The FutureDesignDays Conference offers world-class edutainment. 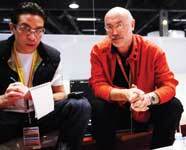 The Breakout Sessions are a source of valuable knowledge and insights into successful projects and tomorrow’s design. The EXPO area opens up undreamt-of scope for knowledge sharing and making business contacts. And the Parties offer settings that are made for networking. Delegates can choose freely from this tempting menu, composing their own festival pack-ages in accordance with time, resources and spheres of interest. FutureDesignDays is an open-format event in which people from different disciplines and different parts of the world meet and exchange experiences and knowledge. 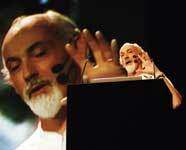 The international element is growing with every year, and the 2005 festival attracted delegates from 26 countries. As always, they are a mixed bunch – designers, interior designers, researchers, university lecturers, politicians, students, stylists, marketers, company executives – anyone and everyone with any kind of interest in design. Plus opinion-formers and trendsetters from a wide range of sectors, interfacing with everyone from niche players to representatives of giant global brands. I certainly haven’t experienced a better seminar, conference or similar on design anywhere in the world. The event was amazing. The audience – Swedes and visitors from all over the world – was great. I mean, only in Sweden is it possible to organise something like this. The Parties have become a highly popular and important part of the festival. They provide many fun opportunities to network and make contacts in relaxed and pleasant circumstances, and several FutureDesignDays partners schedule receptions and get-togethers for the festival. 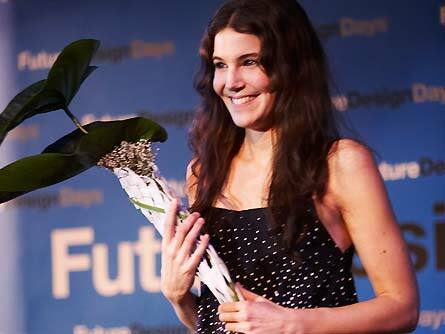 The climax of all these functions, which takes place in the Blue Hall in Stockholm City Hall, are the Design Awards Ceremonies in which the winners of the FutureDesignDays Award and other prestigious prizes are announced. Because I work in a boundary-crossing way with my design, it means a lot to me to get the opportunity to get to know people in other parts of the design world, people I probably wouldn’t meet in a pure fashion context. 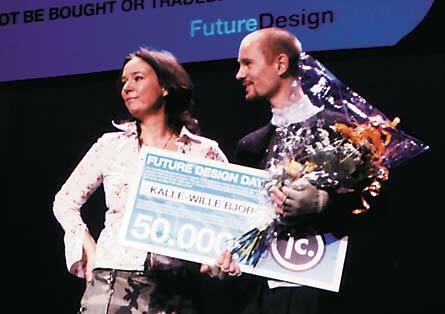 Sandra Backlund, the winner of the FutureDesignDays Award 2005, received her prize from Christian Alçenius, Festival General and MD of FutureLab, the organ-isers of FutureDesignDays. The host of the party in the Blue Hall was David Piper, flown in from London, who added a very festive touch to the gala evening. 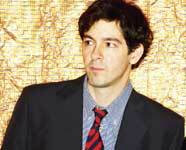 And one of the world’s greatest scratch deejays, Kid Sid, also contributed towards the super party mood. 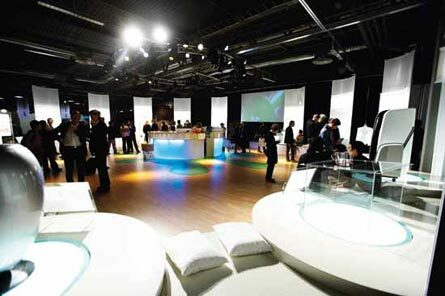 Relaxed mingling, top-notch award ceremonies and some of the world’s weightiest design prizes. That’s the scenario at the FutureDesignDays Award Ceremonies in the Blue Hall in Stockholm City Hall, the same venue that hosts the world famous Nobel Banquet every year. 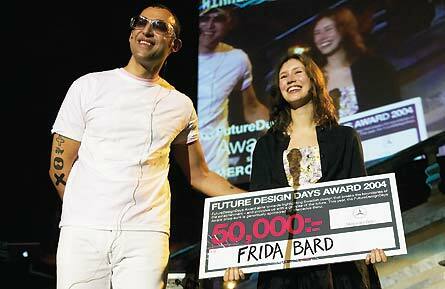 Naturally, the highlight of the gala evening is the announcement of the winner of the FutureDesignDays Award. And after the gala evening, it has become customary for the funmakers to continue partying into the wee small hours at the Nordic Light Hotel. The FutureDesignDays Parties provide an interface for anyone and every-one with an interest in design, from design legends, new talents, students and teachers to prominent company executives. They come from a wide range of industries and sectors, and they come to Stockholm from all over the world. There could hardly be a more favourable opportunity for widen- ing your contact network and developing your business than through the tremendous sharing of experiences and knowledge, full flow of ideas, and high-spirited atmosphere of the FutureDesignDays Parties. FutureDesignDays = design + rock’n’roll. A wonderful festival! And you guys have the best parties in Europe! I think it’s a lovely atmosphere. I really like it, it’s very big. It’s a grand party. 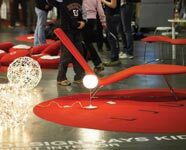 FutureDesignDays Lounge will be the unquestionable meeting place before and after the events on stage and in the pauses in-between. This is where everyone who is taking part in FutureDesignDays, whatever the extent or level of their participation, will be able to meet. Whether they are speakers, delegates, partners, people from the media, volunteers or organisers, everyone will be able to meet and network here. Our involvement in the FutureDesignDays event made us highly visible, enabling us to expose our products to some 4,000 visitors. We’re looking forward to repeating the partnership on a larger scale. Apple’s presence at FutureDesignDays 2005 was not just limited to the popular and well frequented EXPO communication lounge. Apple also supplied work stations for the press centre and festival office. FutureDesignDays Lounge will give you the opportunity to meet the people, the companies and even see some of the actual projects and products featured at this year’s FutureDesignDays. In a nutshell, FutureDesignDays Lounge will mean very interesting meetings and discussions in a most pleasant atmosphere. 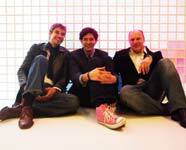 FutureDesignDays Lounge will have everything that is needed to promote successful networking. Interesting people from all parts of the world, creative and inspiring settings, a whole raft of thought-provoking lectures, and shared experiences from the stage to discuss and talk about. Here is where you will make new contacts, share your experiences and idea, share in the experiences and ideas of others and, last but not least, find new business opportunities. 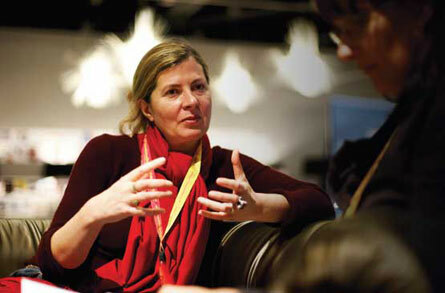 FutureDesignDays is Sweden´s best meeting place for the design industry. It was another milestone in my activities on giving the message about MINI design. We got a lot of inspiration and we hope that we gave some to others to. 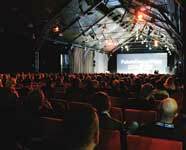 The Breakout Sessions are exclusive forums, with much smaller audi-ences than the Conference, and most of the Breakout Session speakers, like all those who appear on the Conference stage, are world-leading designers, architects or company executives. 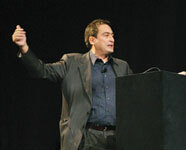 Other Breakout Session speakers are influential niched players and opinion-formers. An inspiring crossover of different design worlds can create exciting results. FutureDesignDays 2004 saw Verena C Kloos, Head of the Daimler Chrysler Design Centre, speaking about the collaborative effort behind the design and development of the Mercedes Benz Armani SL. Mercedes Benz was the official car supplier for the event, and FutureDesignDays was one of the venues at which the world launch of the car took place. 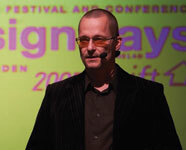 The following year, 2005, Design Manager Stefan Sielaff held a popular Breakout Session at FutureDesignDays. Although each Breakout Session can accommodate only a limited number of delegates, they provide a forum for interaction and discussion between speaker and audience, for the benefit of all involved. The subjects can be large or comprehensive, but are often more niched and address narrower issues. This format gives the audience a chance to gain a better insight into the design process behind the product, service or project being presented. Breakout Sessions also offer an opportunity to test different ways of meeting, and new ways of sharing knowledge. Cecilia Hertz, an internationally acknowledged space designer, had her guests sit on swings in an almost pitch-black room, to best reproduce the feeling of weightlessness in space. Many sessions go for a more practical approach. Julian Roberts and Sophie Cheung, British fashion designers and lecturers, shared their view of design with the audience, simultaneously talking and sewing up garments from scratch, right there and then. I was highly impressed by the organisation. At FutureDesignDays cutting-edge knowledge and ideas are shared, encouraged and born during this euphoric balance of exhibition, conference and networking. Any business that requires forward thinking requires attending FutureDesignDays. I had no idea that I would be able to connect with the audience in such a personal, human way. The FutureDesignDays Conference, with its entertaining talk show format, provides insights into a subject of importance to all of us – tomorrow’s design. Delegates are offered a rich programme of edutainment (education as entertainment). The line-up of speakers was unique and enabled participants to catch glimpses of design from a variety of different angles. Åhléns and Muji launched their big drive on the Scandinavian market with a talk by legendary Japanese designer Naoto Fukasawa on the Conference stage and its own exhibition in EXPO. 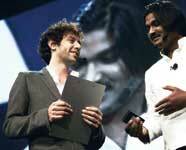 Many players use FutureDesignDays as a platform for initiating or launching their projects. 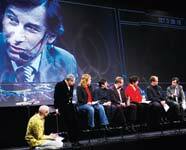 The Conference is the very heart of the festival, with world-leading designers, company executives, architects, and university lecturers on stage. Here you can learn about the success factors, the scope of design as a competitive tool and, of course, see and hear about tomorrow’s innovations and trends. In order to enable delegates to attend sessions on subjects of preferred interest, the Conference is divided into four blocks, each with a different focus on design: Industrial Design & Innovation, New Media & Entertainment, Architecture & Interior Design, and Fashion & Lifestyle. FutureDesignDays is not just a format. It has become a container of content. You cannot convince people. Eventually you can seduce them. That’s the only power that people have. It was an honour to participate and I would love to be involved again. FutureDesignDays is a boundary-crossing design event. An international design festival where people who are interested in various aspects of design can meet, exchange experiences, build networks and develop their businesses. Everyone of importance in design is here at this event. 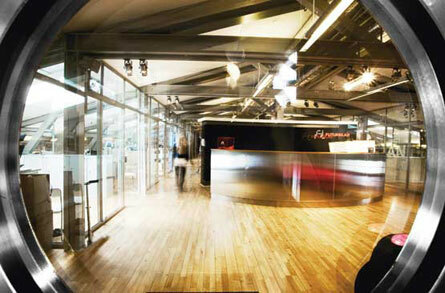 Electrolux decided to move its global design competition, DesignLab, from New York to FutureDesignDays in Stockholm. The nominated entries were exhibited at FutureDesignDays EXPO. 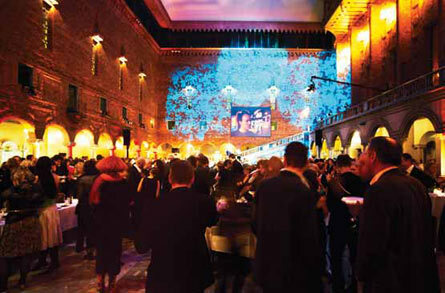 The winner was selected by a distinguished jury, and the prize was awarded at the Design Awards Ceremonies in the Blue Hall in Stockholm City Hall. 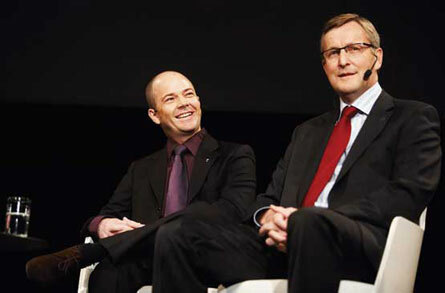 The prize was handed over by Electrolux’s President and CEO, Hans Stråberg, and Senior Vice President Global Design, Henrik Otto, both of whom also took part in the design debate on the Conference stage. The festival is divided into four different segments – Conference, Breakout Sessions, EXPO and Parties. These will all be staged at Stockholm International Fairs, except for the Parties, which will be held at the other two main venues: the Blue Hall in Stockholm City Hall, and the Nordic Light Hotel. There are many reasons for taking part in FutureDesignDays. It is a forum for global debate on shaping our future. A boundary-crossing arena for boosting your know-how and expanding your knowledge of the opportunities offered by design. You see, and hear about, tomorrow’s design, and meet the people behind the ideas. With lots of scope for widening your contact network and developing your business. Every year since it started in 2001 the design festival has had a new theme that reflects contemporary society and prevailing global market trends. A large part of FutureDesignDays is shaped according to the concept and content of the theme, while other parts are not similarly affected. The themes of the past three events have been They said it couldn’t be done (2003), Fear (2004) and Shift (2005). I made very good contacts, and met interesting people in very cross-functional areas. FutureDesignDays brings the design world to Sweden in a way that’s never been done before. Thank you for building new relationships with other creative people. We’ll be working with them throughout our careers. 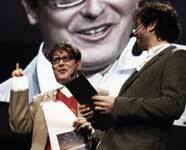 The very first winner of the prestigious FutureDesignDays Award was Kalle-Wille Björk in 2001. 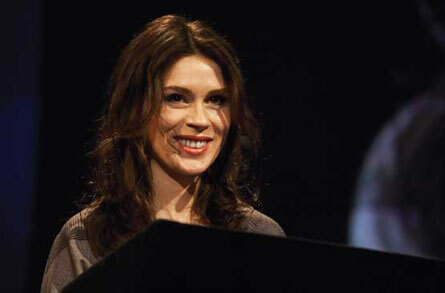 Monica Förster got the award in 2002. 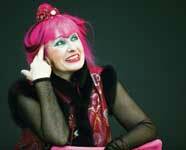 Today she’s a respected designer, both nationally and internationally. Front design group’s talent is probably one of the most sought after in all Europe today. 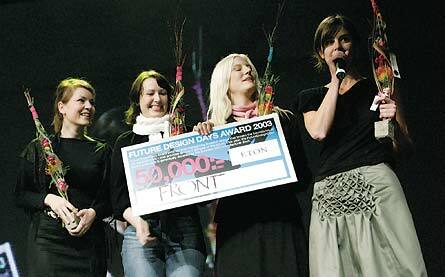 Already in 2003 they received the FutureDesignDays Award. Collection, specially designed for young girls in wheelchairs. 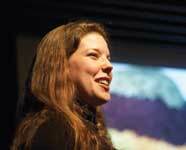 Last year’s winner Sandra Backlund has hardly left the lime light ever since she got the FutureDesignDays Award. She’s well on her way to a real break through. The winners of the prestigious FutureDesignDays Award are Chandra Ahlsell and Anna Holmquist, the faces behind the Folkform brand. 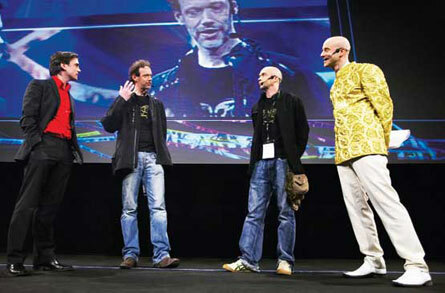 They came out on top in the face of stiff competition from the other nominees, Cheap Monday, RAW Sweden, and Marius Watz. 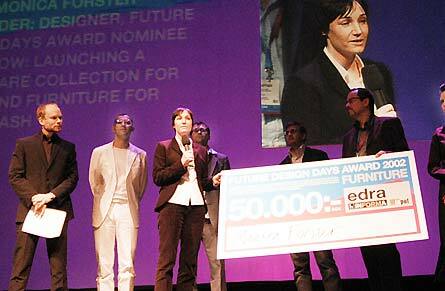 The names of the winners were announced by moderator Tyler Brûlé to an expectant audience during the first conference day of the design festival. Not everyone is privileged to achieve great results using simple means. Few of us fully understand the inherent qualities of a material or have the ability to push the possibilities to the limit – and beyond. Folkform transforms simplicity into all its complexity, and gives the obvious an underlying and ambiguous meaning. Seeing the subtle in the simple, and challenging prevalent design codes is one of their absolute strengths. The prize cheque of SEK 50,000 will be handed over during the Design Award Ceremony in the Blue Hall in Stockholm City Hall. The prize is sponsored by the City of Stockholm, also host of the evening’s arrangements. The winners of the Bombay Sapphire Designer Glass Competition and the Carpe Vitam scholarship will also be announced during the evening.